North Korean leader Kim Jong Un will visit Seoul “soon”, the South’s President Moon Jae-in said Thursday, amid a rapid diplomatic thaw on the peninsula despite stalled nuclear talks between Pyongyang and Washington. 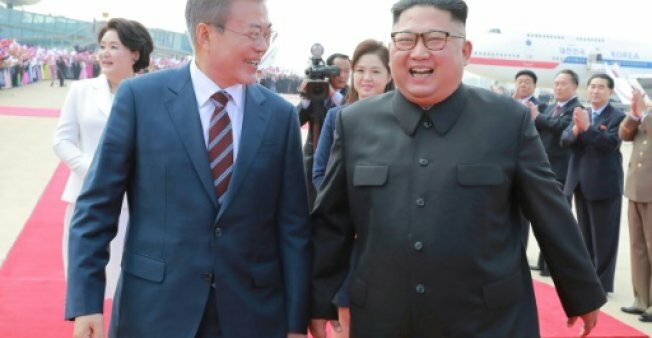 At their third summit in Pyongyang in September, the leaders of the two Koreas agreed Kim would visit Seoul “in the near future” without giving a specific date. 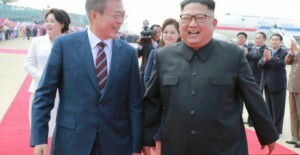 Moon later suggested that the trip was likely to happen this year, and told lawmakers Thursday that the peninsula was approaching “the historic starting line” for peace. “It appears that Chair Kim Jong Un’s trip to Russia and a visit to North Korea by (Chinese) President Xi Jinping will happen soon,” Moon said, adding there was an “open” possibility of a meeting between Kim and Japanese prime minister Shinzo Abe. “Chair Kim Jong Un’s return visit to Seoul will happen soon,” he added. Washington and Pyongyang have sparred over the exact terms of the agreement, with the US pushing to maintain sanctions and pressure against the North until its “final, fully verified denuclearisation”. Moon said a second Trump-Kim summit was “right before our eyes”. “Now the South, the North, and the United States will achieve the complete denuclearisation and lasting peace on the Korean peninsula,” he said. US Secretary of State Mike Pompeo has suggested the next meeting between Trump and Kim will be “hopefully early in the next year, where we can make a substantial breakthrough in taking down the nuclear threat from North Korea”. But in September, the North’s foreign minister told the United Nations there was “no way” his country would disarm first as long as tough US sanctions remain against his country.